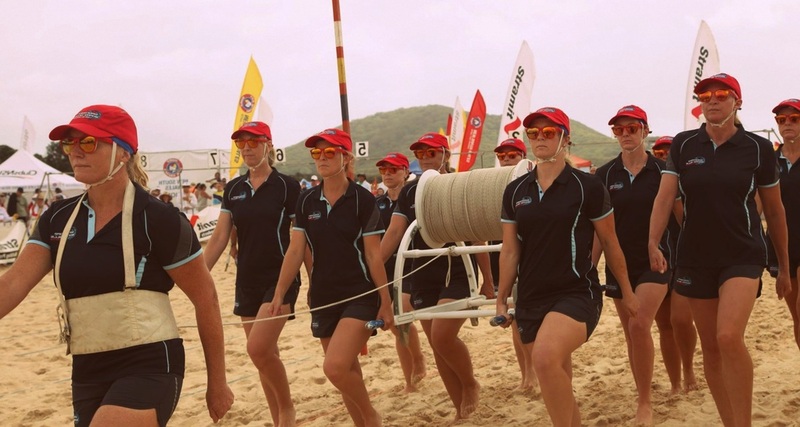 Surf lifesavers engage in regular Surf Carnivals, which are sporting and community events held at club, state, national and international levels. Competitors aged from 8 years old to Masters level may participate, and all the carnival disciplines and events are developed from core lifesaving skills and techniques. Typical carnival events include Surf Races, Ironman/Ironwoman, Swim Races, Board Races, Surf Rescue Board Races, Ski Races, Taplin Relay, as well as various other relay and team events. Lifesavers participate in order to maintain their skills and fitness, and competition is fierce, yet friendly and good-natured. One event unique to surf carnivals is the March Past event. 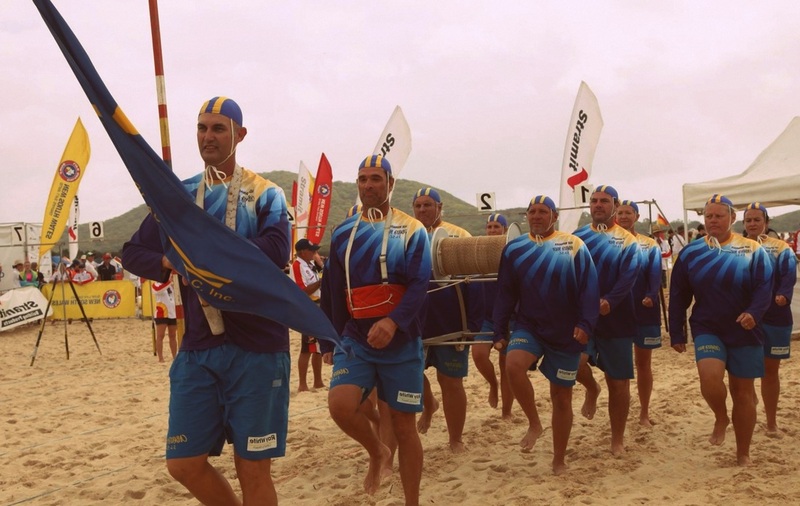 This is an iconic event within the surf lifesaving movement, involving teams of twelve lifesavers marching in formation around a set course, accompanied by music. March Past divisions include Junior, U17, U23 and Open. Team members carry reels, belts, and flags bearing the club’s standard. The event has been part of surf carnivals for many decades, and was originally inspired by the servicemen who joined surf lifesaving clubs upon their return from active military service. Historic footage of lifesaving events often features the March Past event.